Dogs with an adaptable personality are easily identified by their constant looking to their owners for guidance. Wonderful family dogs, due to their easy to handle, cooperative nature. They make lack self-confidence, but their demeanor’s are gentle and affectionate. Easy to train, they make wonderful first dogs, for inexperienced dog owners. Adaptable dogs are generally easy to handle and cooperative. They tend to have a submissive nature, and will continually look to their masters for leadership. They are easy to train and great with children. Though they lack self confidence they make wonderful family pets, and require the least amount of supervision. Dog with an adaptable personality can be somewhat shy, or fearful when put into situations that they haven’t been in before. Although, they rarely resort to aggressive or offensive behavior. Leaning more towards submission. Pushed too far though, any dog will react with defensive behaviors, even an adaptable dog. Adaptable dogs can be easy to intimidate, and are often mistaken for previously abused dogs. Cowering when cornered, even by their owners. Which is due to their naturally leaning towards submission and insecurity, while finding their place in the pack. The adaptable personality types of these dogs are compatible with most other animals, and humans. They make great family dogs. Especially, in multiple animal households, as there is less concern about conflicts. 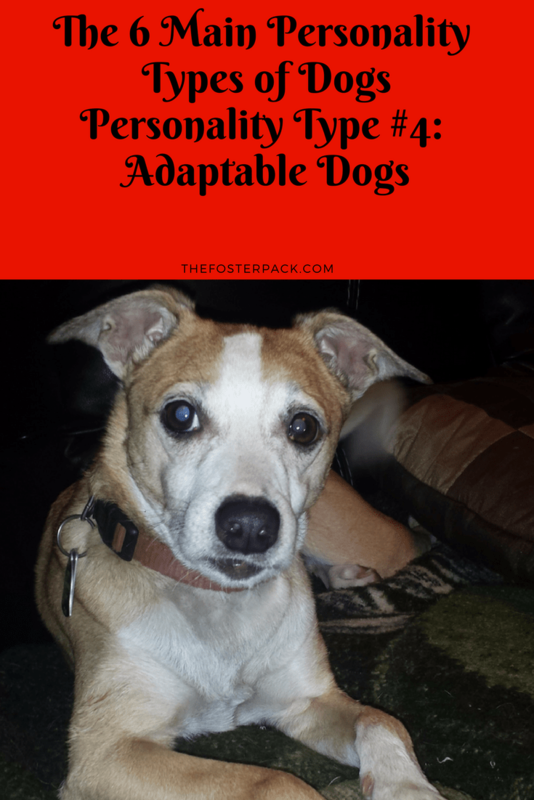 Adaptable dogs are great at fitting in with a pack, and make great foster dogs. They settle in more quickly than most of the other personality types.